Well, today I am at it again. This time though, I am using peanut butter. I know! Now you may be thinking: How are these skinny? Doesn't peanut butter have a lot of calories? My answer? Yes. But if you are using good peanut butter it is actually healthy! Full of protein and fiber! They are good calories, so there's no guilt, mmmkay? The sweetness in these truffles comes from a banana - NO SUGAR, so these are practically a meal. A healthy meal! In a food processor grind the cereal as finely as possible. Add in the peanut butter and 1/2 banana and pulse until it all comes together. If it seems a bit dry add in more banana. I did not add any sugar and me and my 3 year old could not stop eating the "dough". If you want it sweeter go ahead and add a little sugar - just keep in mind you are dunking them in chocolate, so they will get a little more sweetness from that. Roll the dough into balls and lay them on a cookie sheet. Freeze for about 30 minutes. Melt chocolate and dunk each truffle completely. Scoop them out of the chocolate with a fork and tap it on the side of the bowl to remove excess chocolate. Add sprinkles immediately. Store at room temperature for up to 24 hours. Refrigerate or freeze for longer shelf life. Best served at room temp! I love this! Like, SOOOOO much. Totally pinned. Ha!! 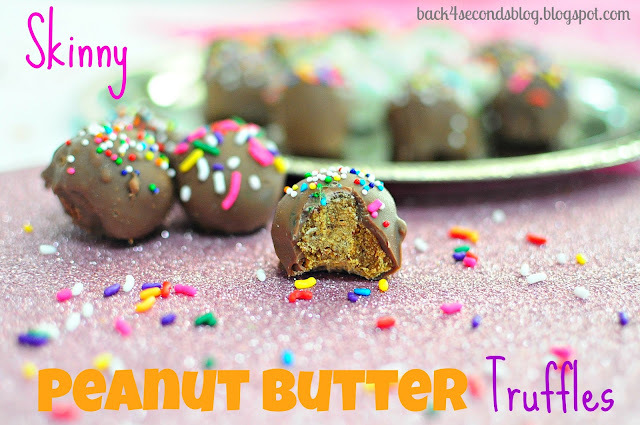 It wouldn't have occurred to try the cereal for peanut butter truffles, but it's a fantastic idea!! Now I can eat a lot of these and not feel guilty! Yahoo! I love this skinny version of such a yummy snack! Thanks for the idea. You make it sound so easy! I dont' think that I could eat just ONE of these! I'm your newest follower and would love for you to follow me! Have a wonderful weekend! Making these right now! The peanut butter mix was so simple! They are currently in the freezer awaiting chocolate. Can't wait to taste them with the chocolate. I noticed as I was rolling them into balls, a lot of oil was coming out of the peanut butter. I think I may have spun them in the processor too much??? But they still taste great (so far without the chocolate) can't wait for the finished product! I am trying these tonight righ now as we speak! Yay they look delicious. I can't wait to dunk them and eat one. My only issue I had was they were very oily as I was rolling them into the balls. My thoughts... maybe I spun them to much in the processor trying to get the banana to mix? Anyway, SIMPLY BRILLIANT IDEA!!!! Thank you so much for this recipe! 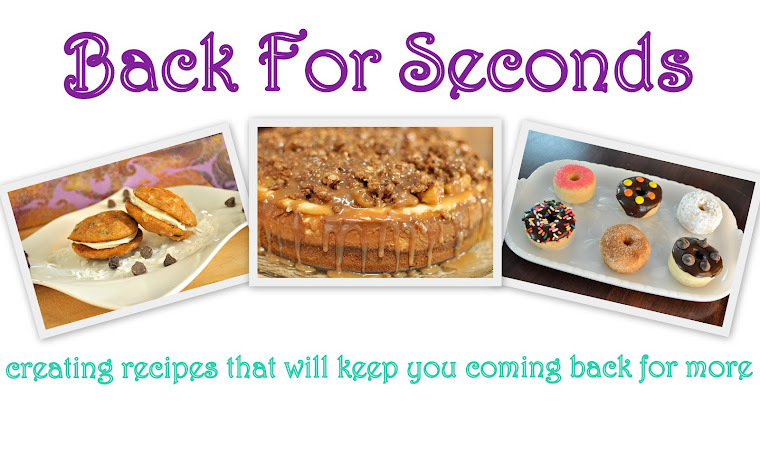 I am trying my darndest to lost my baby weight, but am dying for some dang sweets! I must give these a try! Thanks so much! OK I'm in love. 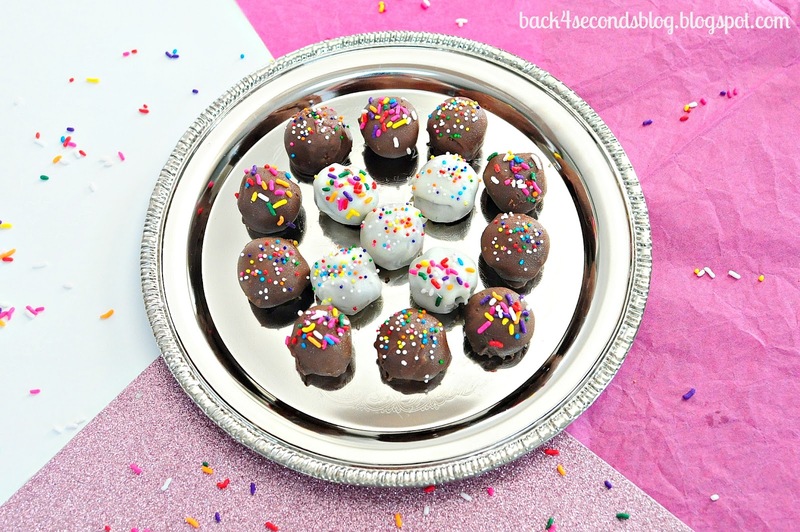 Skinny PB truffles...who would have thought that was possible? Pinning these to try soon. p.s. i just found your blog through the wonderful wednesday weekly link party and i'm your blog's newest follower! They look delicious AND pretty! I thought they'd be a little complicated to make, but it sounds pretty easy.